makes me laugh…. we are Hanks….lol…good nicknames are hankie panky… the bad ones are awful…LOL…. Is this about deciding things in life as you prefer, instead of just accepting the things life gives you. So, you’re the one who’s been writing these poems. I write poetry too. But it seems like you had another blog. Is that true? Nice. This made me smile. So basically, you are what you would want to be? 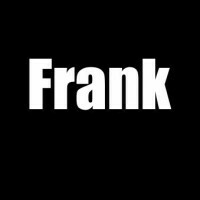 That is something frank, not a lot of us can say that about ourselves. No harm in that for sure, but it could have been more peaceful if we could like what we are now while we work on ourselves to be better, don’t you think? This one is a lot of fun. Keep ’em coming! I worked for an apartment manager long ago whose first name was Colonel. (His father was real smart-aleck Army private I think. Like Johnny Cash’s Boy Named Sue, it made him a really tough character (he was drafted into the Air Force during Viet Nam).